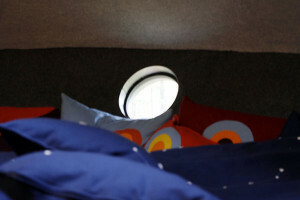 Do you remember the bird’s nest tree-room??? 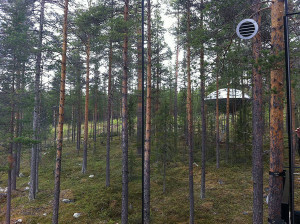 Well, while they were working on that room the owner of the Treehotel thought that could be created another tree-room opposite to the nest. 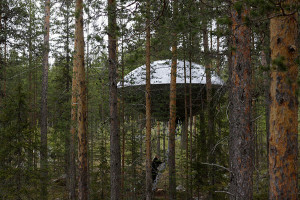 This is the way the Ufo tree-room was born! 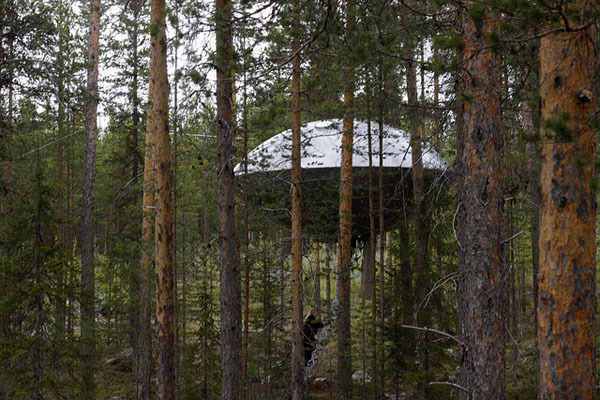 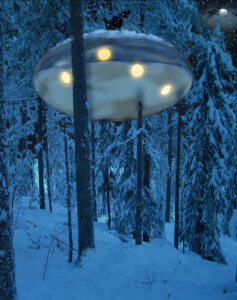 The concept is very similar to the nest, something suspended among the trees, but while the nest is camouflage with its surroundings, the Ufo is something foreign and it makes you feel its presence, well, obviously the name is not a case: the Ufo! This building -like the bird’s nest- has been designed by the Swedish architect Bertil Harström.Moreover in this tree-room people can reach the room using a retractable staircase and when the staircase will be close you’ll be ready to fly in the space! 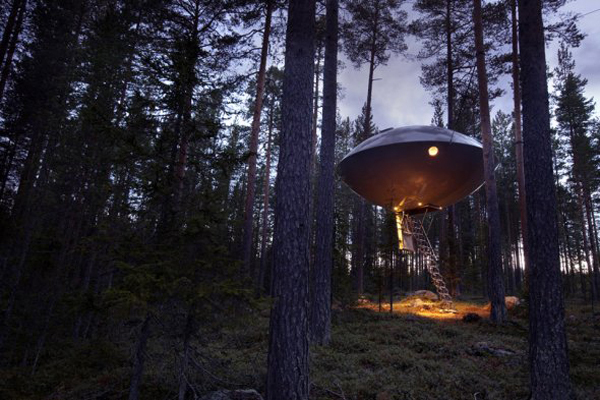 As it’s described on the Treehotel website “The room is cast in durable composite material – all to create the lightest, yet strong and sustainable design possible”. 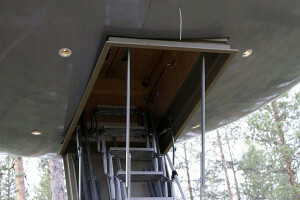 Inside the room is modern and comfortable and composed of two floors. 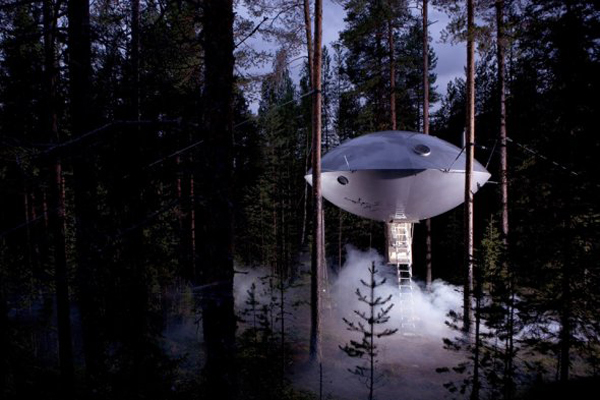 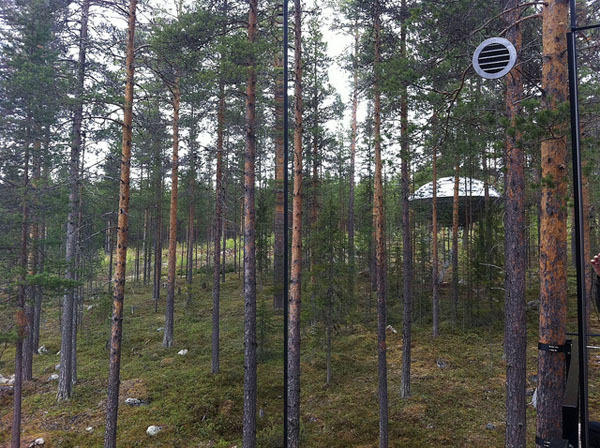 The Ufo can accommodate until four people (two adults and two children) and offers two separate bedrooms, a bathroom and a living area for a total of 30m².